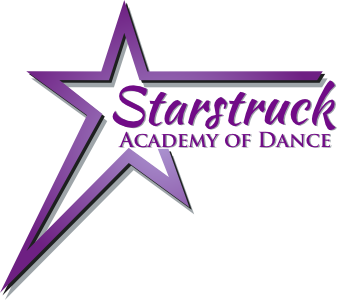 Starstruck offers classes to fit every style, schedule and ability. Classes are held Mondays through Fridays beginning at 4:30 pm. Levels range from beginner to advanced and all classes are age appropriate. We offer teen classes for older students with less experience or who want to try new styles. Classes begin the first week in August and finish the last week in May. Recital is held end of May/beginning of June. While regular classes are not offered during June and July, we encourage students to take advantage of our many workshops, camps and intensives which are held during these months. We take a two-week break at the end of the year for the December holidays and a week in March for spring break which usually corresponds to the area school schedules. To register for classes each family must create a family portal. You can do this by clicking "Sign Up" at the top right on the front page. If you are brand new to Starstruck we will need to evaluate you so we can open the appropriate class levels. Please call or email us to set up an evaluation time. Once we open class levels in your portal you will be able to register for the appropriate classes. us a call. Our staff will recommend level adjustments if needed. Knowledge of basic dance technique. Solid spot of double turn. Level 4 - 4/5 9 years old and up; Solid triple turn and knowledge of fouettes/tours. sequences. Strong foundation of dance technique and placement. technique. Superior foundation of dance technique and placement. Teen Levels Ages 11 and up. Similar level requirements as above. As the foundation for all dance forms, classes focus on body placement, flexibility, balance, alignment, turnout and technique through barre and floorwork. 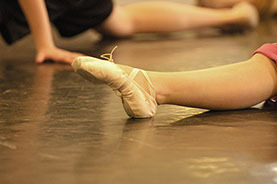 Classes consist of traditional ballet technique and structured instruction. All dancers are recommended to take at least one ballet class a week. Pointe class is by teacher approval only. 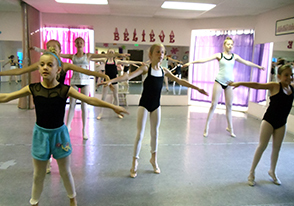 Starstruck offers two "Styles of Ballet" classes, Cecchetti Ballet and Traditional Ballet. On our schedule you will see Ballet classes levels 1-5/6 and also Ballet Cecchetti Exam Grade 2/3 - Elite classes. 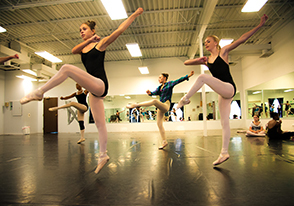 In our Cecchetti Exam classes, dancers learn the Cecchetti method of Classical Ballet. Created by Enrico Cecchetti, he brought to this method a rich heritage from the Italian School at La Scala, The Russian Ballet in St. Petersburg, the Diaghilev Ballet Russe and the British Ballet in England. Our method is a many times tried, tested, and perfected, graded system of work. 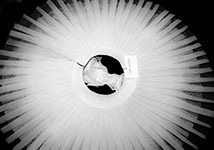 "Dancers" exams go from Pre-Primary to Grade 10, and then the coveted "Maestro Enrico Final Diploma". An invitation from the examining board is necessary to take the Final Exam, the Fellowship teaching Diploma, considered by UCLA as a PHD in dance. Anatomy and Physiology and History of Dance are required in these exams. This is such a strong, beautiful and comprehensive method bursting with quality. 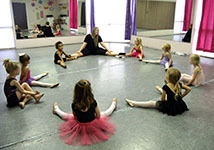 You must be a Ballet level 3 dancer to begin the Cecchetti Grade 2/3 class. 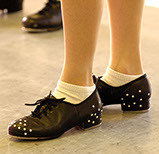 The classic American dance form, tap classes work on teaching dancers rhythmic and classical styles, along with tap vocabulary. A good basis for any form of dance. 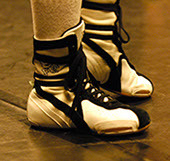 Both rhythm-based and classical tap techniques will be taught in intermediate and advanced levels. Concentration on proper technique to add strength and power to jumps/progressions. Concentration on a variety of turns to strengthen technical ability for turning elements. Classes consist of stretching, strengthening, isolations, turns, jumps, across the floor and center combinations embracing many different styles of jazz choreography. Classes focus on preparing dancers for their high school poms teams. Disciplined arm positions, turns, jumps and tricks are taught by area high school poms coaches. This a very clean and fast paced style of dance. Classes are geared to dancers who are on or preparing to audition for their high school dance team. Classes for 3 - 4 years olds, this class incorporates ballet/jazz basics, coordination, beginning tap skills and flexibility in a structured environment. 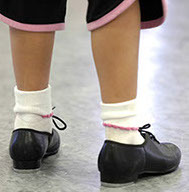 Emphasis on classroom skills, dance etiquette and imagination help jumpstart a passion for dance. Pulling from ballet and jazz technique, this class encourages individual expression and communication of emotions through articulate bodylines and choreography. This class comes from a ballet base. Movement is placed and controlled for the dancers to really tap into proper technique using their core.